That’s it! So, here’s the PROOF…. Amount received in pesos is 32,537.76. Some names are blurred for privacy purposes. 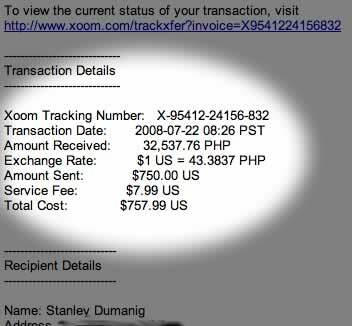 The total net amount in my Paypal account is $883.79 – which is about Php 38,000+. The great thing is the figures above does NOT show a one-time income only but it reflects a monthly residual income. As you can see, YOU (a Filipino here or abroad) can really make money from the internet. I hope the 2 proofs out of many will convince you that I’m not making this up. This will ensure you get each article once they are published. We respect your privacy and promise to never share your email address. 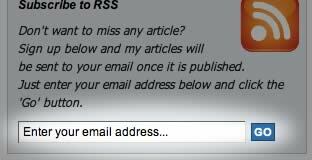 So, look for the Subscribe to RSS window at the top right portion of this page, enter your email address and click ‘Go’. See the image below so you’ll know what I’m referring to. Use the comments section below to ask for questions or share your story. This will be the BEST TIME to hear from YOU as I’m in the process of writing my next article on the ‘how-to guides’ of internet marketing. I’ll try to answer all your questions and include that on my next article. I would like to help you succeed in your OWN online business. So, subscribe to my RSS and/or post your comments now! Also, PLEASE share this information to your friends especially to those who are skeptical about earning revenue online. They’ll thank you for it! I just like your way of giving information to others. Brendon: Thanks for sending us a question. I’m not familiar with your specific situation but I’m giving you an overview which will help you a lot. First off, there are many “great and legit” online businesses to mention that can really make passive income. Of course, there are other “dirty” ways too that make money but that’s one thing you should NOT do since it will just hurt you long term – so, be careful of following just anyone’s advice. Secondly, if you are really serious making money from the internet it really requires “investment.” I haven’t seen a serious business yet, both offline and online, that has not invested time and money. First, making money from the internet means you should have a “product.” You need to decide what kind of product you’ll offer: physical product, services or information, and then find your niche market. This MUST be an intersection between your “passions” and “profits.” Decide on a product which you’ll love to create/do AND find a target market which is interested and willing to buy your products. 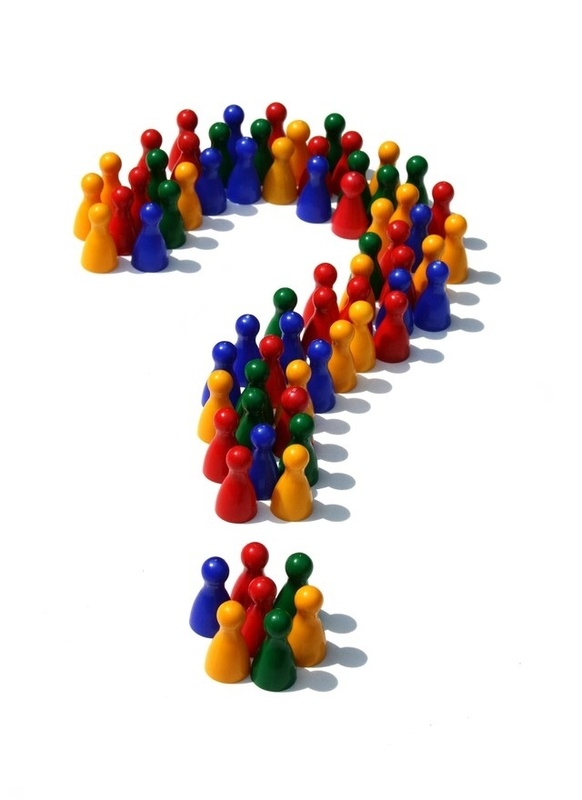 I have other articles relating to your question so you might want to check them as well. 2. 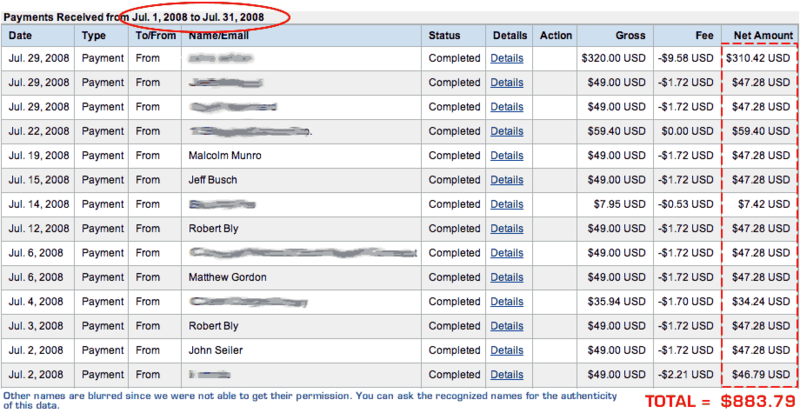 Sign up with Google Adsense – that would set you up as publisher of ads where every time people click an ad you get paid. To find more about it visit http://www.google.com/adsense – signup is free too. 3. Find a niche market. Again, intersection between passions and profits. 4. Post articles on your blog relating to the topic/market you have chosen. Eventually, people who are interested with the topic will visit your site, then they will see the Google ads and click on it. You then get a commission when they click on the Google ads on your blog pages. Take note: do NOT click your OWN ads. See Google Adsense’s policies for more info. Hi! This is Mercy again, and i just wannathank you for all the infos you’ve shared. This time, i want to ask some more clariffications. Hope you can help me. Regarding wordpress, can i use paypal in upgrading my site? I dont have a credit card. Mercy: You’re very welcome. Its my pleasure to share. I assume you are asking on how to setup a “self-hosted” wordpress blog. First, you need a domain name and webhosting. You may register domain names at http://www.ultracheapsolutions.com – this is where I buy ANY and ALL of my domain names. You can use your Paypal account to purchase products/services online and that includes domain name registration, web hosting, etc. please help me get a data encoding job online. give me a legit site. There are these books for sale etc… i am doubtful no matter how convincing they sound. Having read the requirement to do internet marketing, i become interested. I qualify i guess. @ohara: you can start looking for jobs at elance.com or odesk.com but I highly recommend you setup your site that sells your services before promoting yourself on either of the links I mentioned. good evening sir. i believe that there really is money to be had from the internet. i just haven’t found the most effective way to get it yet. i hope that you can help me with this. i already sign up for your rss feed and i’m really looking forward to the things that i will learn from you. thaks. Thanks so much, I learned a lot on your articles. Sir I have a question, I am confused on how to earn money on the internet. BTW, I am web developer since 2010, until now, I can’t understand the way how to earn money on the internet. And I’ve been employee most of my careers, until now I can’t earn extra. Is there a way can I use my knowledge? at the same time earn extra income?